Thrill-seekers and high altitude, there is a place waiting for you. 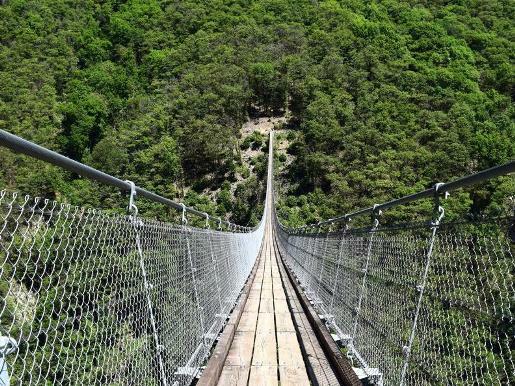 And The Tibetan Bridge which is located on Mount Carasso, in Ticino, Switzerland. Tibetan Bridge is located within the core of Curzutt, beautifully restored village, witness of a time when everyday life took place mainly in the hills and is one of the longest Tibetan bridges in Switzerland (270 meters). The rope bridge connects the Sementina hill with the above Monte Carasso. Of great visual impact, the bridge is 270 meters long and is suspended 130 meters above the material.. Its crossing is made easy and safe to a walkway with larch boards, by a wire mesh on the sides and by a handrail placed at its end. Cross the bridge is a safe thanks to a walkway with 728 boards in larch wood, a wire mesh on the sides and a handrail at its end. For those who do not suffer from vertigo it is too nice to stop halfway to admire the view on the Magadino Plain and the surrounding mountains, while in the distance you’ll also see the castles of Bellinzona.